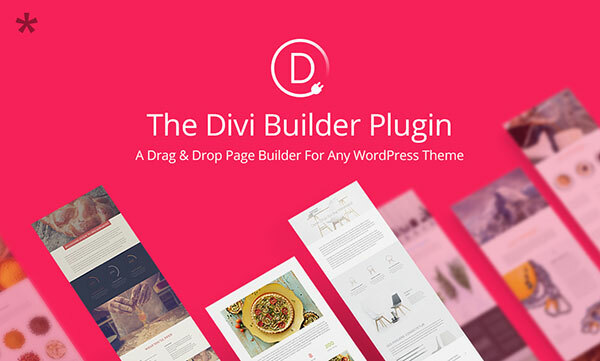 If you really like your favorite WordPress theme’s performance, you will absolutely love working with it if you add the Divi Builder page-building plugin,and take advantage of everything this new and exciting tool has to offer. Divi Builder is a standalone plugin that is totally compatible with any of the WordPress themes. A number of Divi WordPress Theme features are included into this power-packed page-building tool. With Divi Builder at your fingertips, you can create beautiful layouts within any content configuration. There is no need to abandon your favorite theme. 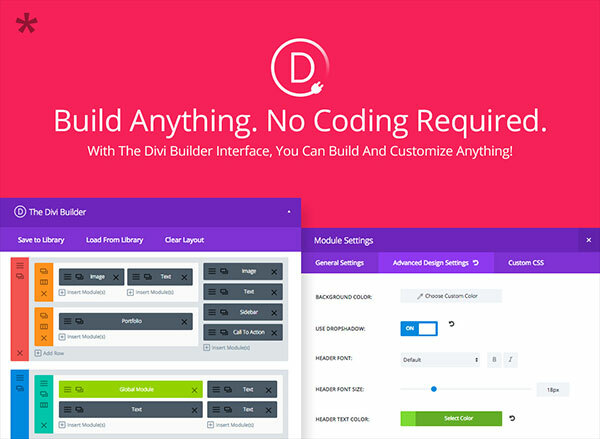 Divi Builder will simply make it more flexible, useful, and powerful than ever. A visual design capability coupled with premade layouts, building block modules, and a number of valuable core features sets Divi Builder apart from other page building tools. No Need to Brush Up on Your Coding – Page building is done on a visual basis. You can create virtually any page to any level of detail without having to resort to code. 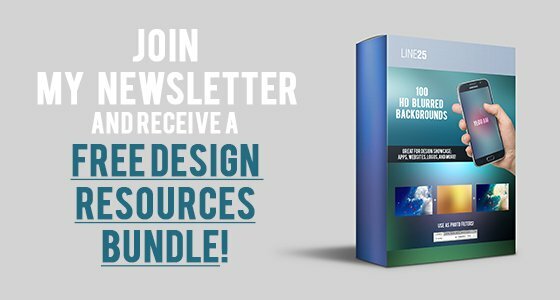 20+ Premade Layouts get You off to a Rapid Start –You can also start a page from scratch, or use elements, templates, or layouts from earlier pages you have built. 40+ Content Modules and More – Mix, match, or arrange these building blocks in any way you choose, and with 3 section types and 20 row types to work with, it’s not surprising that your page building possibilities will be practically limitless. The seemingly minimal look of Divi Page Builder reflects its ease of use; hiding behind that look however,is a powerhouse of controls, settings, and right click options. Create and Combine Advanced Columns in Seconds – You don’t have to settle for page after page of single-column content. Numerous page layouts are possible. Duplicate any Element with a Single Click – This simple but powerful feature is a real time saver. Any element on a page can be instantly duplicated for placement elsewhere. Disable and Hide an Element – This is a useful feature for seasonal or promotional material. 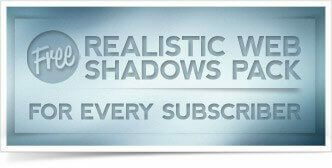 A promo banner can be disabled and tucked out of sight on the front end until you need it again. You don’t have to delete it and rebuild it later. There will likely be elements in your website you would not want others to modify. Just select the elements you wish to protect, and lock and disable their editing functions. Copy and Paste –The Copy and Paste function allows you to copy an item on one page and paste it on any number of other pages. Collapse Builder Chunks to Make Page Building Easier – When you are working on a particular element on a page, other elements can be a distraction. You can collapse those other elements, while creating a larger working area. Manage Undos and Redos the Way They should Be – Having Undo and Redo functionality at your fingertips can be a terrific time saver. Since Divi Builder tracks your activities, you can travel back and forth in time to make corrections, improvements, and eliminate those potentially embarrassing goofs. Content may be king, but how it is presented is also important. The Divi Builder adds appropriate spacing between page elements; but it also allows you to control and modify those spacings. Horizontal and Vertical Spacing Options – Divi Builder makes it easy to control section and row vertical spacing as well as horizontal column spacing. Uniform spacing can make content appear cramped. The ability to open things up can give a page a greater sense or rhythm and harmony. Custom Padding, Margin Widths, and Row and Column Widths – These features take your layout options a step further, and enable you to build topographic layouts that reflect your innate sense of creativity. When you have more than 40 content modules to work with, plus 3 section types and 20 row types and every element is customizable, the possibilities are endless. There’s a Module for That! 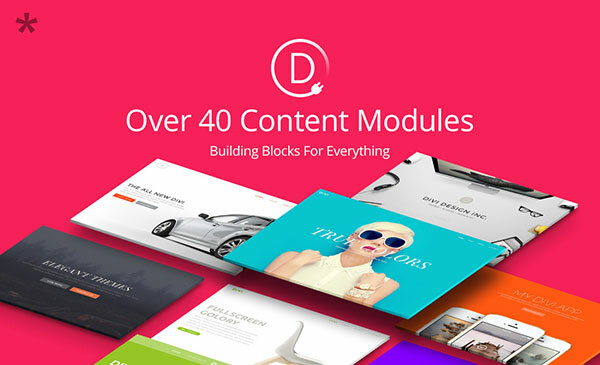 – Divi Builder has a module that will make almost anything you are trying to build an easy task. In the off-chance you can’t find the exact module you need, the Custom Code Module can provide a solution. 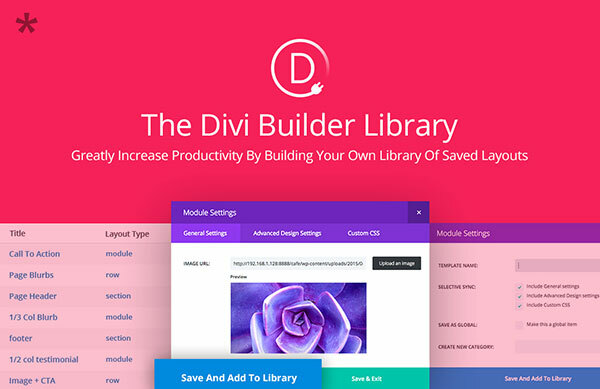 Simple Configuration Options – Divi Builder modules are remarkably easy to configure. Since no coding is involved, it takes but a minimal effort to create a custom layout. Customize Everything – When you can customize absolutely everything, words like “unlimited” and “limitless” are not merely hype. You have full control over the customizing process, and your options are indeed unlimited. Add Your Own Custom CSS – While this feature may be seldom needed for most applications, Divi Builder makes customizing parts of individual modules an easy process. The Divi Builder Library can be as large as you want to make it since it can store an unlimited number of instantly accessible page-building elements and layouts. Save Almost Anything you Want – You can save any layout, module, section, or row, and the more you save, the more customized your library becomes. With time, you will be able to build pages with increasing speed and ease due to the increasing number of customized items you will have at your fingertips. Access Library Elements from any Page – No matter where you are in your website building process, your Library is open and ready for use. The more data you store, the easier your site building activities will become. Using Selective Sync – You can control which settings to save whenever you store an item away in the Library. Export and Import Data into any Site – Since the Divi Library can be accessed at any time, and on any project, you can use data from past projects and save an impressive amount of time in the process. Saving Global Items – All you have to do to store an item to be placed on multiple pages is to designate it as a Global item. If you change it on one page, it will change on all pages. Syncing Multiple Items – When you designate an item as a Global item and store it in the Library, you can repeat that item across your entire website. Global Items and Selective Syncing – You can take the sync function a step further by selective setting syncing; syncing a font style is one example. This can be a genuine time saver. 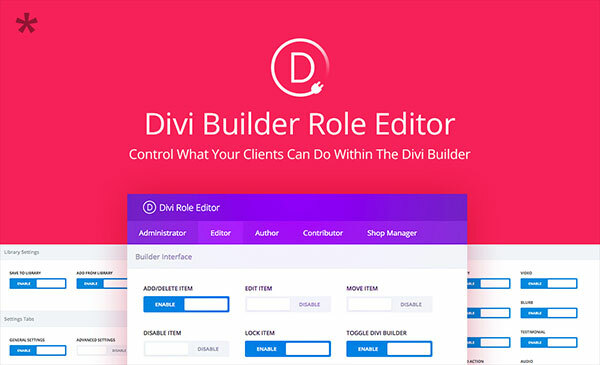 Visit the Divi Builder website for an in-depth look at the features and benefits this new and impressive standalone tool brings to the table. No matter which WordPress theme you are presently using, you may soon begin to wonder how you ever got along without this amazing page builder. Since it can be used with any WordPress theme, you will find it makes your website-building tasks easier than ever. Add Divi Builder to your design toolbox. You won’t regret it. Divi Builder is what anyone like me, having less coding and technical knowledge, could ask for. I believe it’s a wonderful plugin to create pages visually without any technical knowledge. Apart from this the features it offers are amazing. Thanks for enlightening us, Iggy! never use it. Is it any better than Visual Composer? Visual Composer recently had a pretty serious XSS security vulnerability. Give Divi a try and see how you like it.